Lite-ON America has introduced LH-2B1S Blu-ray Disc triple writer which is capable of recording and playing back today�s most popular media formats including Blu-ray, DVD, and CD. 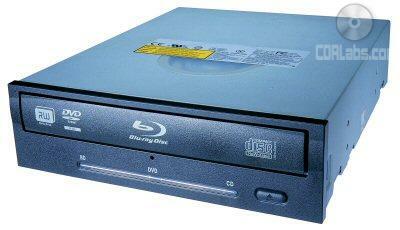 The drive features a 2X read and write speed on BD-ROM, BD-R, BD-RE media, and supports DVD�R media at 12X. LH-2B1S writes DVD�R DL (Double Layer) media at 4X, rewrite DVD+RW media at 8X, DVD-RW media at 6X, and reads DVD-ROM media at 12X. LH-2B1S also features Lite-On patented cutting edge technologies SMART-BURN for optimizing the quality of each burn, and SMART-X for setting the optimum speed of operation, enabling users to �burn and work�, running other applications while making a BD, DVD, or CD with a minimum risk of failed burns, or creating �coasters�. The LH-2B1S incorporates Serial ATA interface which provides higher speed and performance than previously possible with the Parallel ATA Interface. Serial ATA connection eliminates potential information and performance �bottlenecking� by currently offering a 150 MB/s information transfer rate and will provide significant headroom for future improvements. The new drive is expected to cost around USD $699 which is much cheaper when compared to other manufacturers Blu-ray burners. I see so i am just following you. Look forward to exploring your web page yet again.